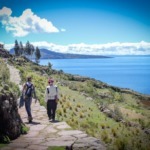 The best advice I can give to people intending to travel South America is to learn Spanish! Why? So you can avoid being ripped off, have a better experience communicating with locals and feel empowered. 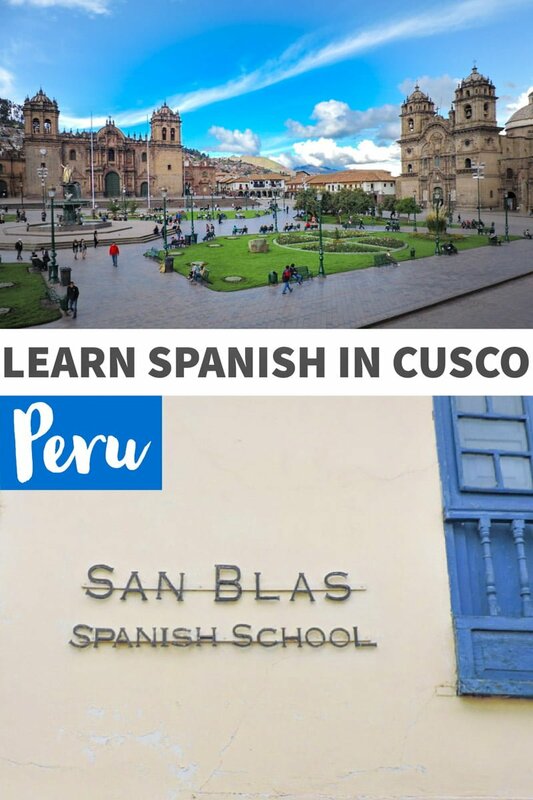 Cusco is a great destination to learn Spanish in Peru because the city is small enough to get to know well, there is a variety of activities to do (21! Read about them here) and the city has a developed network of companies who offer classroom lessons for groups, individuals and opportunities for homestays. 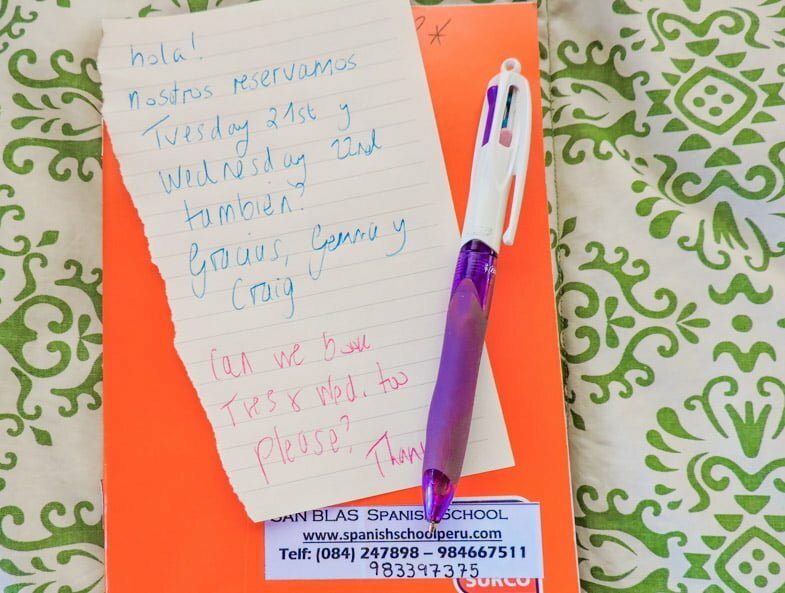 Here is our (Gemma and Craig) Spanish school Cusco review of San Blas Spanish School. 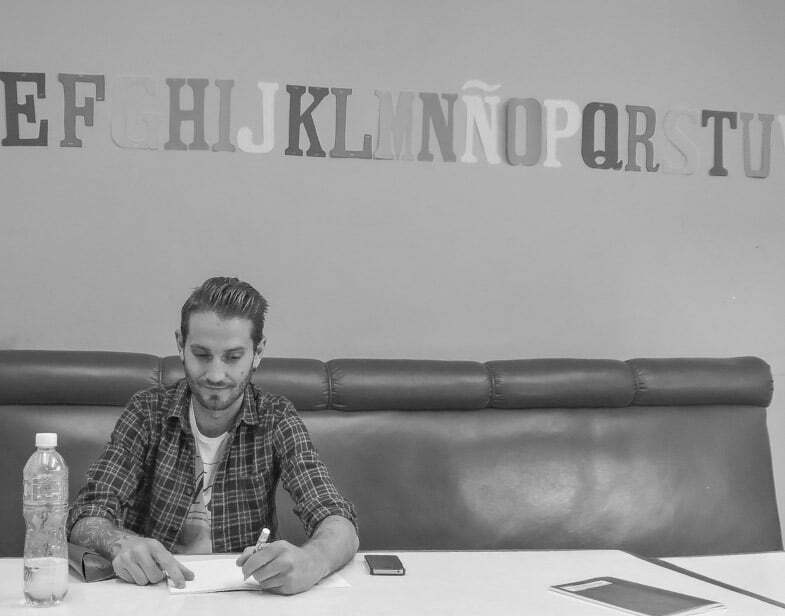 Before we booked our trip to Peru, we were warned that some level of survival Spanish would be required so we signed up for a few lessons at a local community centre. Unfortunately, although the tutor was a nice lady she was a useless teacher. Mrs Armit (aka Gemma, Two Scots Abroad) found her methods very frustrating and I’ve been out of education for so long I just find everyone’s teaching methods frustrating! 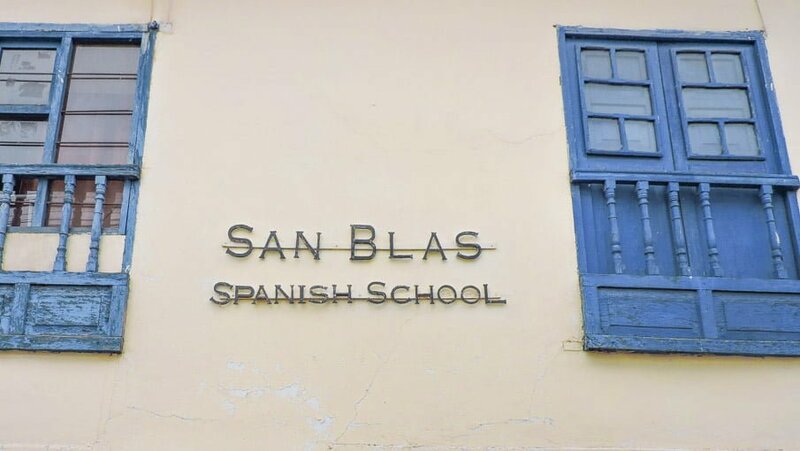 San Blas Spanish School was different. The classroom setting is relaxed, the ratio of tutor to participant is 2:1 and the school is organised. They supply workbooks and homework tasks, unlike our home tutor who spent half of the class photocopying worksheets. After some online research, we chose San Blas Spanish School for three reasons. Firstly, the positive reviews, secondly the homestay possibilities with a non-English family and finally, Gemma received good vibes from Manfred via email. The school is situated in a very cool area of Cusco (San Blas) which we were already familiar with so it seemed like a perfect fit. School starts at 08:30 until morning break at 10:30 then resumes again until 13:00. However, that is not the end of the day; homework is issued and lunch then dinner is spent around the non-English speaking table if you choose to try a homestay. Our tutor for the next five days is César, a Peruvian in his mid-20s and luckily Mrs Armit seems to take to his teaching style straight away. He starts off lightly with the basics but ramps up to full conversation by day five. We have no WiFi in our homestay casa which forces us to do our homework. It was also quite fun helping Gemma for the first few days until she overtakes my abilities, then I resented the tarea (jokes). As you can see, a lot of content is crammed into five days making it one of the best ways to learn Spanish while travelling. Before we went to learn Spanish in Cusco I both spent a bit of time persevering with the DuoLingo app before hitting the jackpot with the Johnny Spanish podcast. This gave me a half decent grasp of the basics….or so I thought! Once we arrived in Peru, we found that our Spanish was worse than miserable!. A few Bolivian schools were also recommended to us as it’s cheaper than Cusco, but at the time we were visiting the weather forecast was sunshine so I decided we’d be better off studying indoors, in rainy Cusco. *Low season discounts are available, just ask! Over to you, any questions? Have you been back to school? *Many thanks to San Blas Spanish School for putting us Two Scots to work (with a 30% discount). As always, our honest opinions. Lares Trek to Machu Picchu – is this Peruvian hike for you? Way cool guys! I am blessed having taken 4 years of Spanish in High School. 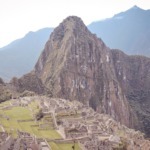 It was 20 years ago, or 25 now lol….but when I visited Cusco and Lima, boy did I need it! I stayed in areas of town in both spots – especially Cusco – where no one spoke English, including my hosts. They went all rapid fire espanol on me and after I asked for them to slow down a bit, hablo mi gringo espanol, mas or menos. 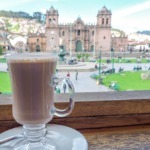 Tan enfermo en Cusco pero hablo el espanol….oh sorry lol…..since I spoke Spanish I was able to communicate with folks more effectively, and recover from my violent food poisoning more quickly, too. Rapido español! You are blessed. I am actually annoyed at the Scottish education system for not teaching us it. Think I’ve got a claim?! It looks as though you have a basis there, jump on it! Craig has as Peruvian pen pal now, he was writing to him in bed last night. This is great to hear. I’m contemplating a long term home-stay with 2-3 months of classes at San Blas this summer to really hone my “okay” Spanish skills. Do you think that this is a good environment for long-term learning? Also would be a single female traveling solo. Do you have any thoughts on safety in the area? Any advice you have would be most welcome. It was totally safe, city is a great size and San Blas is really relaxed. We met a chica who was doing a month at San Blas Spanish School and she was living with other Europeans – good points and bad points to that – she had lots of people to socialise with, there wasn’t much Spanish spoke in their house but, it’s what you make it! We are keen to get back to Central America (currently in Canada, then States) in February to speak Spanish again. 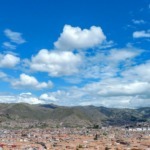 Have you read our other articles on Cusco? Lots of things to do, where to eat, hostels etc. Buena suerte!